You’ve seen the clips of the speech at the March on Washington for Jobs and Freedom. (Note the full name of the march, and the intimate interconnection in the Civil Rights Movement between economic and political justice–something too many people want to forget.) But have you read Letter from a Birmingham Jail? It is a powerful indictment of those who stand by, those who believe that we just need more time, those who claim to be well-meaning but are satisfied with the status quo nonetheless. Here’s an abridged version of the letter. 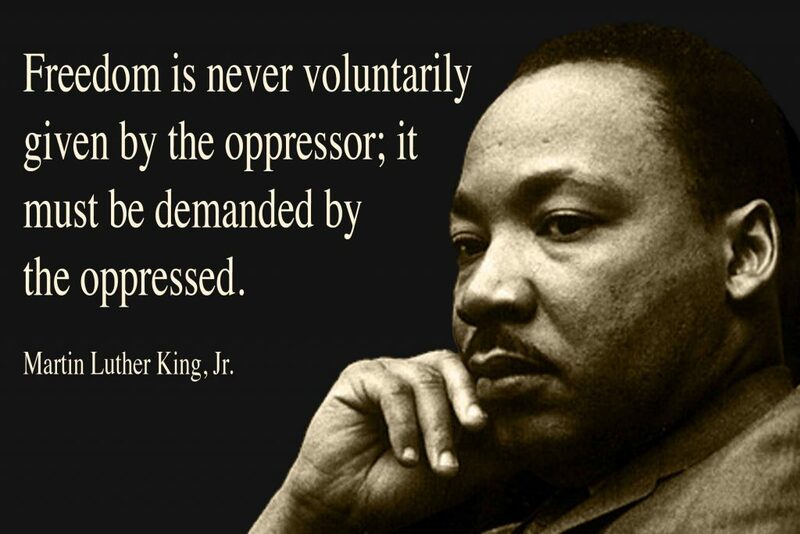 Take ten minutes today to set aside the ceaseless, selfish, stupid, ridiculous, inane trivialities of contemporary U.S. life and honor Dr. King–the real Dr. King–by reading his arguments for the fierce urgency of now, as compelling and penetrating today as they were in 1963. Previous Previous post: Lord, have mercy.